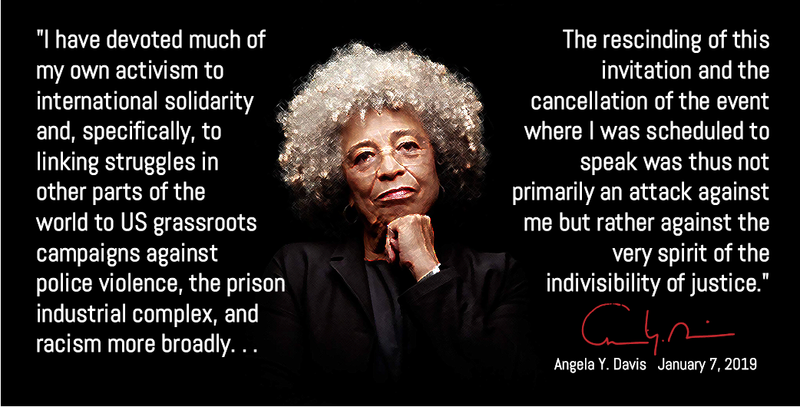 (New York City, NY) January 14, 2019: Over 550 academics from across the U.S have signed onto the JVP Academic Letter in Support of Angela Davis, (see below), condemning the Birmingham Civil Rights Institute for cancelling the Fred Shuttlesworth Human Rights Award intended for Professor Davis. 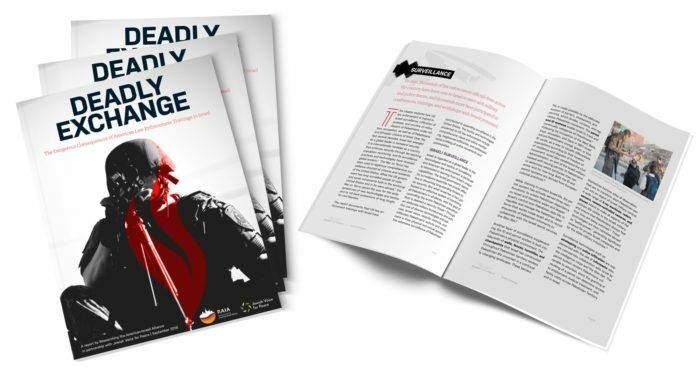 Signatories to the JVP Academic Advisory Council letter include Professors Noam Chomsky, Judith Butler, Bettina Aptheker, Ruth Wilson Gilmore, Robin D. G. Kelley, Kim Tallbear, Joanne Barker and Julie Livingston, among others. Jewish Voice for Peace also launched a general petition in support of Angela Davis last week, which has garnered over 16,500 signatures. The Birmingham Civil Rights Institute announced last week it was cancelling the Fred Shuttlesworth Human Rights Award intended for Professor Angela Davis, following criticisms of Professor Davis’ support for Palestinian human rights. The decision was likely premised on the misinformed view that to advocate for Palestinian human rights is offensive to the Jewish community. Jewish Voice for Peace calls on the Birmingham Civil Rights Institute to rescind their cancellation of the Fred Shuttlesworth Human Rights Award intended for Professor Angela Davis. Angela Davis is a tireless advocate for the human rights of all people, a leading civil rights activist and a renowned scholar. She is eminently qualified to receive the Fred Shuttlesworth Human Rights Award. The cancelling of this award by the Birmingham Civil Rights Institute is unjust, insulting and ill-conceived, especially because it is likely premised on Professor Davis’ long-standing support for Palestinian human rights. The decision seems to stem from a misinformed view that to advocate for Palestinian human rights is somehow offensive to the Jewish community. As a Jewish organization dedicated to justice, dignity and equality for all people in Palestine/Israel, we share Professor Davis’ visionary commitment to the “indivisibility of justice,” and believe we are all responsible for pursuing social justice for all human beings, without exception—which includes pursuing social justice for Palestinians. Professor Davis’s activist and scholarly life epitomizes the spirit and intention of this award and we call upon the Birmingham Civil Rights Institute to honor Professor Davis for the totality of her work.